I’ve been collecting vintage etiquette guides since I was a kid. They’re an absolute delight to read, and they do a tremendous job of reassuring you that you are not the only person to wonder how to handle yourself or what to wear in a tricky social situation. 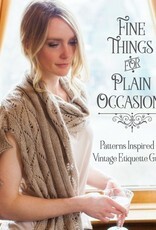 It may seem like a bit of a leap to go from a collection of etiquette books to a book of knitting patterns. But once you spend a bit of time with them, you’ll see it’s the most natural thing in the world. These guides were written before books were filled with page after page of color pictures, but their authors still had very distinct opinions about what you should be wearing. That means the books are full of marvelous descriptions that you can interpret however you choose. That’s just what I’ve done here. I’ve started with delightful quotes from some of my most treasured books and used them to design a whole host of different patterns. Each includes the quote that inspired it (because they are far too delicious not to share), and each pattern’s name is taken from its quote. (For those of you wondering, the title of the book is also drawn from a particularly amusing line in one of the books.) 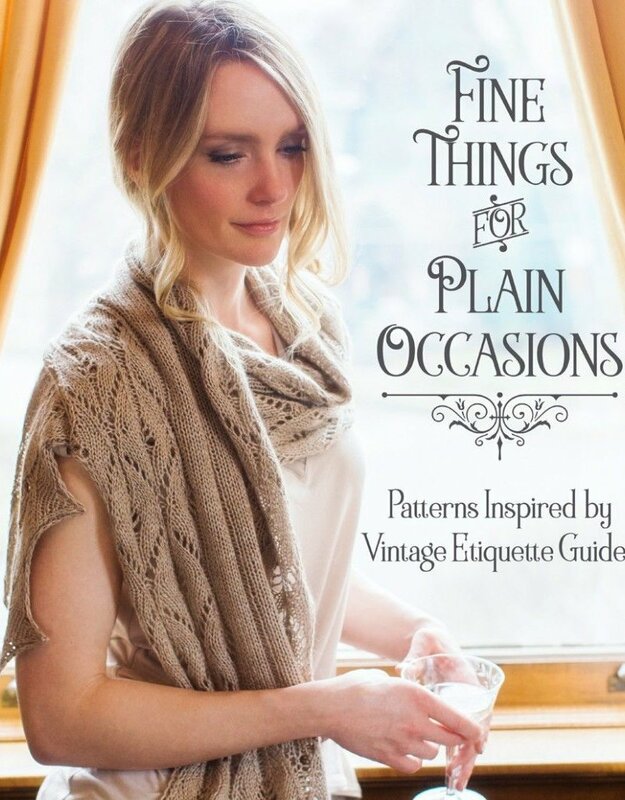 And, while the inspiration for the patterns may have come from vintage sources, the pieces themselves are perfectly suited to today’s knitter. There’s not a petticoat, corset, or lace handkerchief in the bunch. Instead you’ll find socks, shawls, mitts, and hats that fit perfectly in a modern wardrobe.